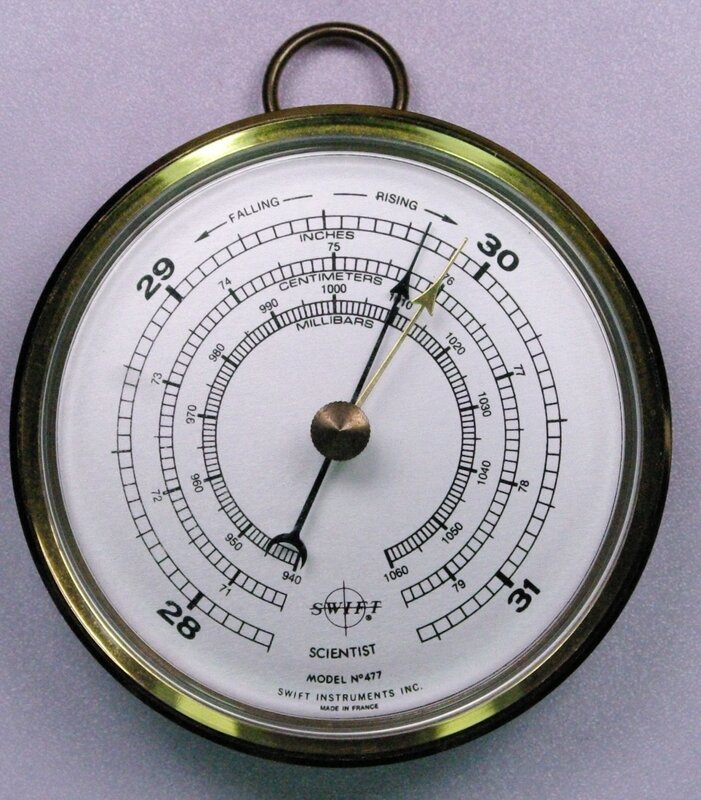 This Model 477 barometer, marketed by the Swift Instrument Company, was actually made in France. It is shown in the 1988 Swift catalog available on this website. It has a 3.25 inch dial face. I like the styling. Go to Swift catalog page.